New Beginnings, New Starts . . . Sounds like the subtitle infers something happened at the intersection of two streets. Sounds of people meeting and laughing interrupted by a sporadic clunk when and where some individual gets burned, yet learns street smarts. The tenkara party continues to grow although, for me, the fishing fly life has become the quiet sport. The pupil piscator has been schooled at Meadow (Lake) and Hudson (River). One spring June afternoon was made available and spent under sky around the brackish Meadow Lake in Flushing Meadows Corona Park, Queens. Stories from here, heretofore, had come conflicted between hearsay and a past issue of The New Yorker, dated August 22, 2005, which in part relayed one portrait of mi amigo, Edwin Valentin, in a quest with two other anglers for a caught, perhaps photographed, New York City snakehead on the deadline of a feature reporter. My Snakehead Spring; I have lived through such times, too, experienced a parallel coincidence pair on a matter urban angling. I decided to inquire through my experience further. The 7 train left me a walk’s distance around the National Tennis Center and the grounds of the 1964 New York World’s Fair. The scene appeared clear, without the makeup of sunlight angle streams. The view appeared direct and in that bare way consistent under an unbroken nimbus cloud lid that did open near day’s end, eight hours later, when the sun set off in an electrum burst at the bottom of a darkening blue sky. Windy this place remained, even after the last of the sun’s light. Barnacles encrusted a few pieces of old construction wood. These planks and a green great wall, a phragmite monopoly, walled in the water in all but a dozen tight places. Snakehead? 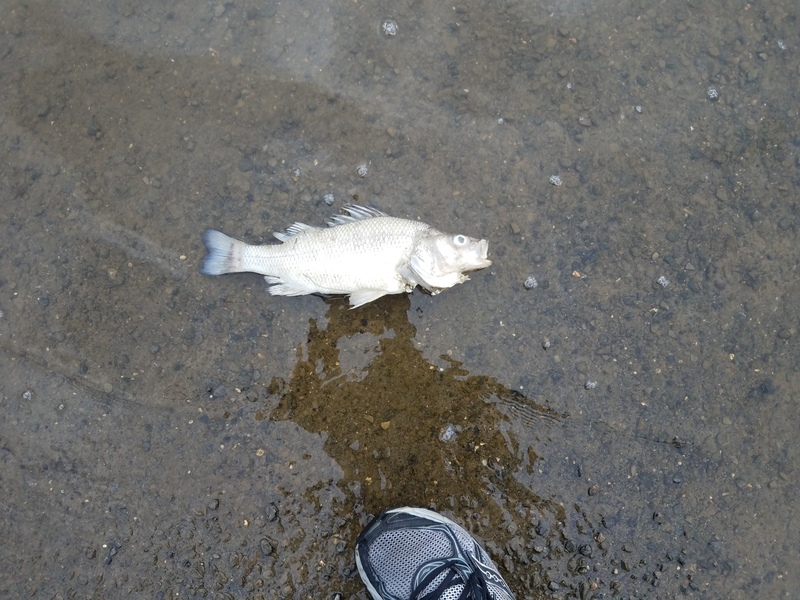 No, tenkara instead touched tilapia , , , one dead, a few living, seen grazing in the visible lake shallows along with carp of my favorite proportion; those the size of largemouth bass. 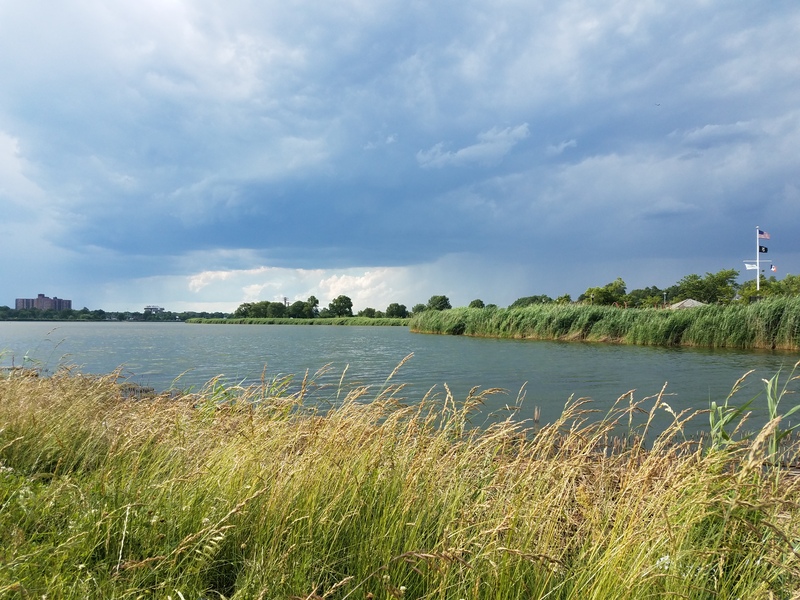 This is one salt lake that certainly merits more attention and shall receive more. The commercial fly life remains brisk. That’s where the block party has been going down. Tippet material, especially 6X, sells daily. I feel the standard tenkara 5X may be scaled down by one or two with most good fish played to satisfaction. Time and fish are all the necessities required to test such lines. 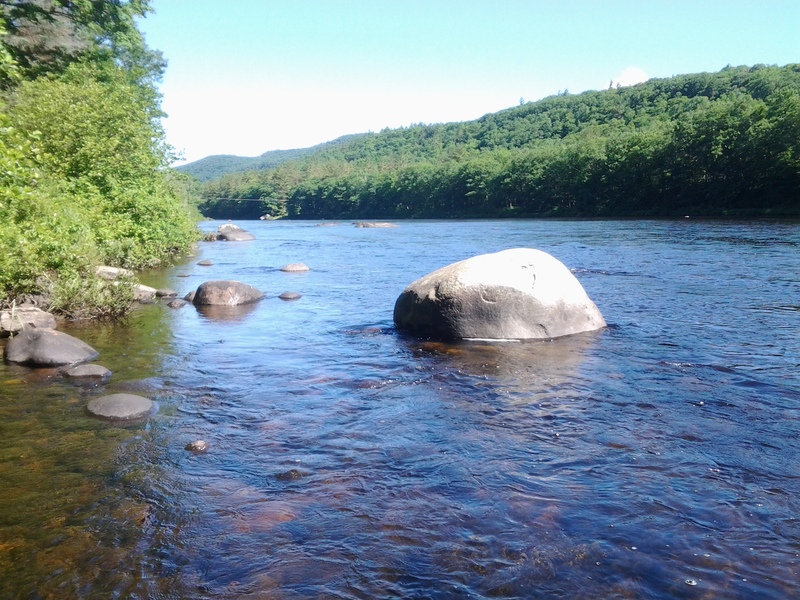 Two bright Sunday morning hours on the second day of summer did present a sole challenge within the wide, swift, Hudson River near Lake George. 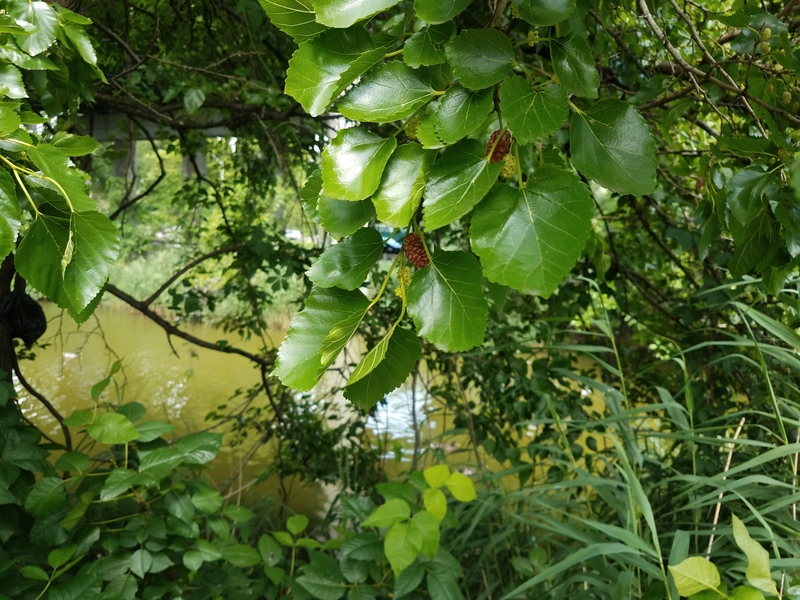 A recalcitrant trio of brook, rainbow, and brown, this being one of the few areas in New York that possesses the potential for all three species netted on a given outing, felt near. A few glimpses of shadows defying current snaked under my sight. Was that first hang-up of a Peacock Herl Prince, the snag concluded below the water, near the cobblestone, without an explanation, actually a quick head snap of 6X under a trout take? The loose point of tippet returned clean snipped. I did find the wading worthy enough for a staff. Without one, I somewhat stumbled up through a loose boulder garden. Plenty of slots and seams presented more prime soft hackle water than the time I had allotted to me. 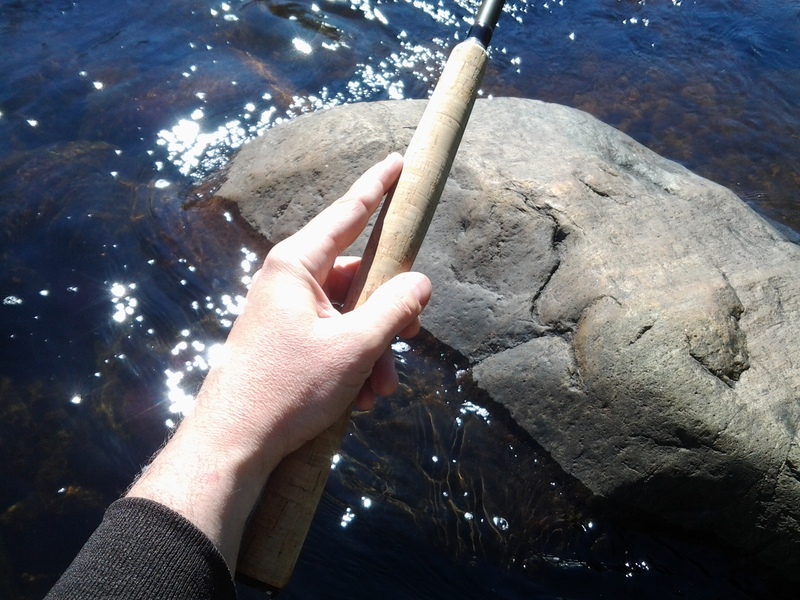 My best gave a few opportunities to hold the stick, high behind a granite monolith’s teardrop holding trout station, long enough for a short series of photos. 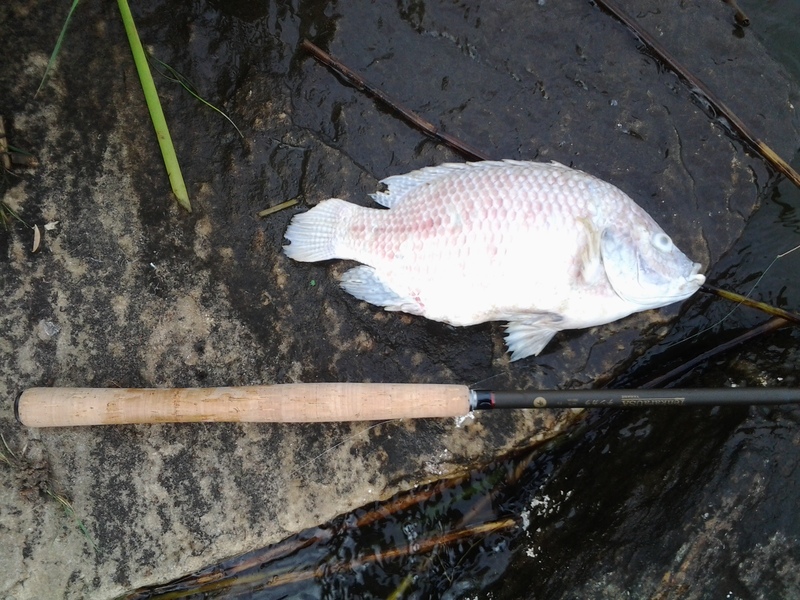 Tenkara queries attract like minds. My July has been peppered with conversation several times a week with new faces on topics tenkara. Kebari practice remains close to the vise. There is time enough for deer hair and thread and the occasional bird feather. Peacock Herl is my A decoration. The wraps of iridescence are a pleasure; I never tire from the repetition, close knitted on a wet nymph fly hook. Beginnings, some months, like this month, bear good news in the form of good press. 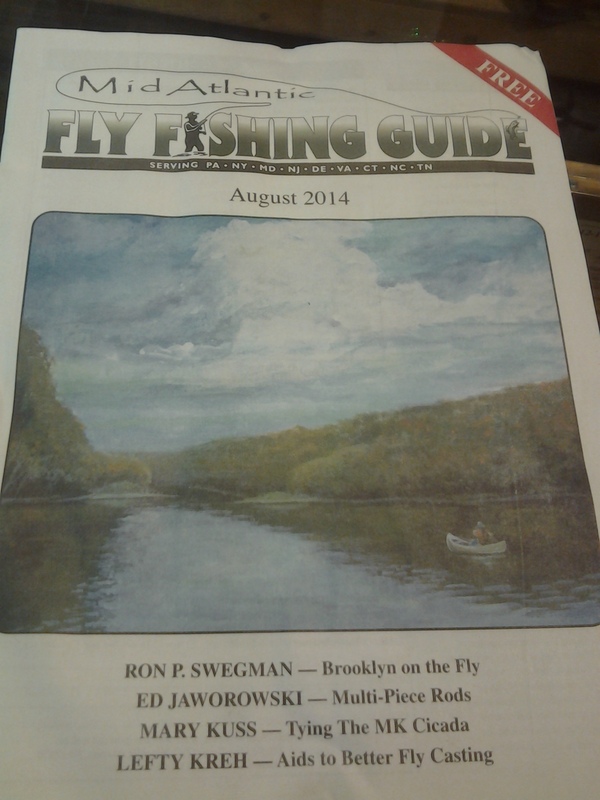 Mid Atlantic Fly Fishing Guide, found complimentary in fly shops I have visited, gave me good news in the form of a cover appearance and a new story – “Brooklyn on the Fly” – on the pages of the new August 2014 issue. 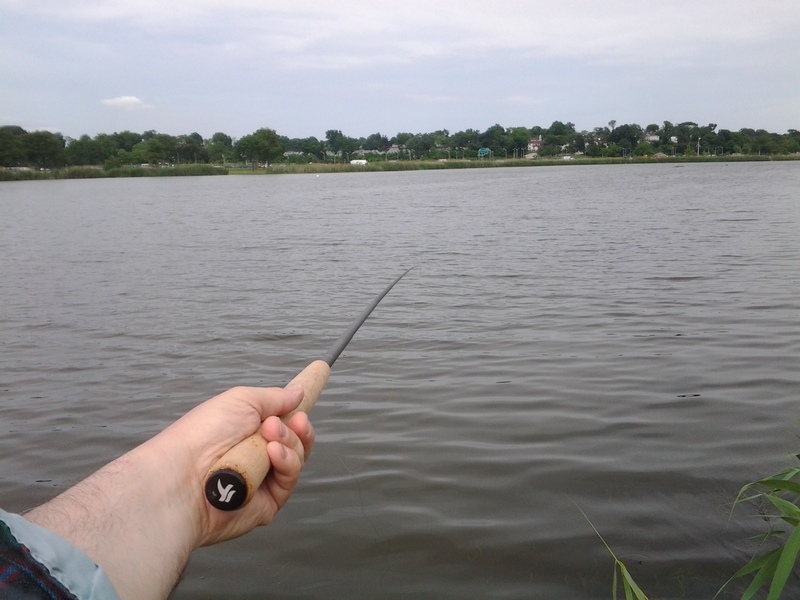 My Tenkara USA Ebisu rod makes two photo cameo appearances.